You'll also love this week's photos on the same topic of Sleep over at Natural Parents Network! All three of my boys are represented with two cute photos over that way, too. 1. Natural Parents Network ~ Sleep ~ linky! 26. Home of OHM - stratford date! Everyone looks so comfy and cozy. That makes me want to go back to bed! How sweet! I love when the tiny ones pass out with their arms above their heads like that. Moira was trying to use Walker's head as a pillow the other night. She was very frustrated that he wouldn't let her. I think that is so cute. I love seeing pictures of weird places or position that children are sleeping in. too too cute and sweet and yummy!! I love Alrik at NatParNet too. Great yawn. 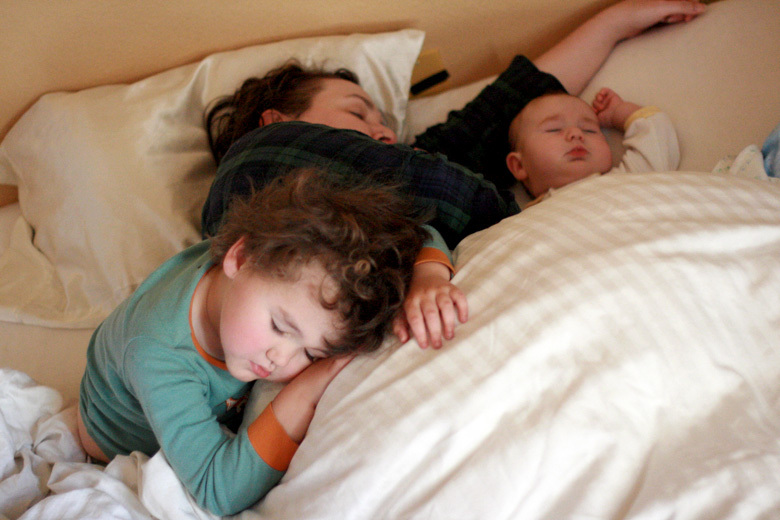 Do you have any posts on the topic of co-sleeping with a toddler + a baby??? I'm really curious because I'm terrified of trying to figure that out when this next baby gets here. LOL. awww. Moms & dads do make the best pillows! great photo- that will be fun to look back on in years to come! Oh the days when you could sleep in any position. 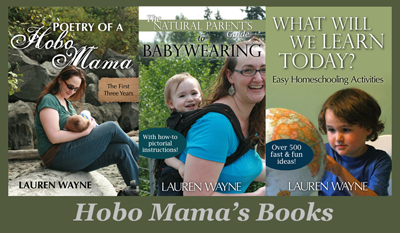 I loved sleeping with and cuddling my children. My husband hated it. They learned to wait until he was asleep then creep in and crawl in on my side of the bed. He did finally make a concession and agree to buying a king sized bed when I had one on one side of me and one on the other. It is such a special time of hugs and loves without having to worry about what is not getting done. LOL Mikko, hahaha, that's too cute. This pic is even more adorable than the ones at NPN! I love to see families sleeping together and was tempted to ask someone to take our pic at the get-together on Saturday morning. We had slept that night in the living room and Sasha sleeps late.